Is the NUCCA Spinal Correction painful? NO, NO, and NO! It's not at all like manipulative type adjustments. NUCCA uses only a slight amount of pressure barely felt by the patient. NO TWISTING, POPPING, or CRACKING. How safe is NUCCA Health Care? 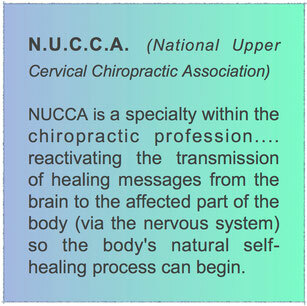 NUCCA Health Care is one of the safest forms of treatment available. You don't have the side effects of drugs, the risk of surgery, or any painful manipulation to take into consideration. The NUCCA Chiropractor uses a very gentle form of treatment and takes every precaution to make the procedure as safe and effective as possible. What changes might I expect following the initial correction? How does Chiropractic compare with traditional Medicine? Chiropractic looks at the body as an organism which is constantly in flux between death and ideal functional wellness. 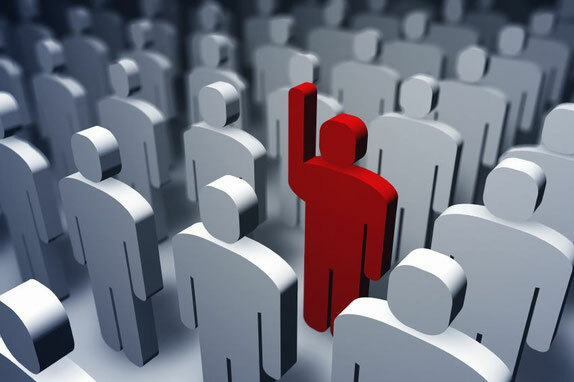 Medicine most often observes and treats people as either sick or not sick. Medical doctors treat symptoms, but know very little about what it is to treat what might be the cause of disease and illness. One thing both Chiropractic and Medicine do agree on is that every body function is controlled and regulated through electrical and chemical impulses of the nervous system initiated from the brain. Achieving an optimal functioning nervous system happens to be the primary focus of the Chiropractic philosophy. The diagnosis and treatment of the effects of a poor functioning nervous system is what Medicine focuses on. Why not go at the cause of the problem? Do you keep moving the bucket which is collecting the rain from a leaky roof, or do you repair the roof? Which makes more sense? Would a NUCCA Chiropractor be able to help me even though I’ve had minimal results with traditional Medicine and Chiropractic? In our NUCCA Chiropractic office, 95% of our patients get relief from their primary complaint over the course of the initial treatment. Almost all of them have already seen at least one medical physician (usually multiple), and one or more chiropractors. Often times these physicians were able to provide some relief to the patient, but the problem still existed or re-occured all too often. How do I know if I am a candidate for the NUCCA procedure? A candidate for the NUCCA procedure is anyone who has a spinal misalignment regardless of their age or severity of problem. The consultation with the doctor is designed to evaluate your background history and determine if the doctor feels he/she can help your condition. How did I get a spinal misalignment (body imbalance)? An accident or injury was necessary to produce a spinal misalignment. These injuries happen a number of different ways over a lifetime. Is it important to bring my x-rays and/or MRI studies? 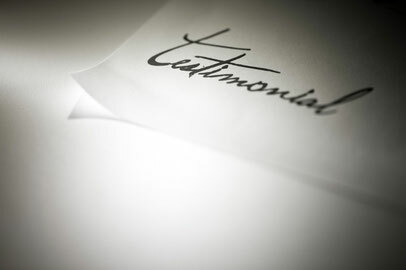 Any information our patients are able to provide on their first consultation to our office is always helpful. Why are x-rays taken before and after the correction? The x-rays taken prior to the correction allow the doctor to determine how the spine shifted, tilted or rotated from its normal position. After the correction, x-rays are necessary to determine the success of the correction. If an adequate correction was made, then future corrections will be made using the same formula. This procedure leaves no margin for error. Are x-ray's necessary on follow-up visits? Once the doctor determines the exact formula for each individual patient based off the success of the initial correction, then future corrections will be made using the same formula. Usually more x-rays are unnecessary unless the patient experiences a fall or serious accident that could affect the initial correction formula. What can I do to keep from losing my alignment? Once the spine has stabilized, the most common cause for the loss of the correction is fatigue. Physical, psychological or emotional stress which tires the body to the point it breaks down. During the initial recovery cycle the NUCCA doctor will begin to teach you how to maintain your alignment with as few corrections as possible. This is achieved by recognizing your own signs of fatigue, and doing what is necessary to avoid losing the correction. I'm worried about x-ray exposure, what should I do? Radiation surrounds us. Most of this radiation is in the form of visible light, ultraviolet and infrared light, radio waves, and microwaves. However, the amount of x-ray exposure involved with the NUCCA procedure is extremely low. I am in possession of a letter from the Utah Office of Radiological Safety that states my x-ray machine has less than half the state average of radiation exposure compared to any other machine in the state of Utah. The head and a bowling ball weigh about the same. When the weight of the head (10-14 lbs) is shifted off the center of the top of the neck and held in a misaligned position by muscles and ligaments. It can disrupt or distort the efficient flow of brain health and healing messages to the body. The leads to the development of nervous acute and chronic health problems. The use of harmful drugs and painkillers for temporary relief of pain and symptoms does not correct misalignments. Temporary relief covers up health problems and they continue to grow worse until the misalignment is corrected and the body’s natural ability to heal is restored. When the head (10-14 lbs.) 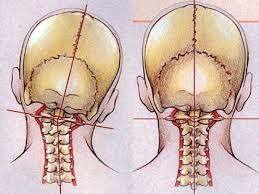 is shifted off the center of the top of the neck, the rest of the body will compensate for the shift of weight. The spine and pelvis will twist causing one shoulder to drop down, one hip to be pulled up, bringing the leg with it to create body imbalance. The stress and tension on the muscles can cause pain anywhere in the body. Chiropractic is based on the scientific evidence that the human body has an innate power to maintain its own health. The art of chiropractic focuses on the correction of spinal malfunctions, called subluxations, in order to remove interference to the spinal cord and the nerves. Science has found that the nervous system controls all organs and tissues of the body, so a nerve system, functioning at its best, facilitates the body's ability to cope with disability and disease. That doesn't just mean lack of illness, but staying well and performing well for a lifetime. According to Dorland's Illustrated Medical Dictionary, Health is defined as "a state of optimal physical, mental, and social well-being, and not merely the absence of disease and infirmity." What type of Education does a Doctor of Chiropractic have? To become a Doctor of Chiropractic one has to complete a minimum 6 year course of study. Many states are now requiring doctors to complete their bachelor's degree prior to granting state licensure. The Doctor of Chiropractic has an extremely intense curriculum, which is similar to that of a typical medical student. ﻿Why is Body Balance Important? This body position can cause stress, tension and pressure on the entire nervous system, most importantly the brain stem (base of the brain). This is very important because our body shuttle millions of electrical and chemical impulses back and forth from the brain to every cell of our body each day. Any restriction of distortion of those messages nerve impulses, can affect every body function. Many of these message are unconscious such as breathing, digestion, and circulation. If this is not corrected, the long term effect is degeneration of that part of the body serviced by those restricted messages-resulting in mild to sever pain, lowered resistance to illness, behavioral changes, organ dysfunction, loss of mobility in limbs, and ultimately disease. Does the NUCCA doctor use the same spinal correction formula for everyone? No, they do not. The calculated formula for each correction the NUCCA doctor makes is as individual to the patient as one's fingerprints. No two formulas are the same. This means the doctor will approach each case differently. Should I have my spine checked by a NUCCA Chiropractor before agreeing to surgery? It is always smart to exhaust every option available before going through with a procedure with such a high risk for repeatability. Research shows that most people who have surgery for a spinal condition say they are worse after 5 years or only slightly better. Can I utilize NUCCA Chiropractic Care following surgery? There are a few factors involved in making a decision for NUCCA Care following surgery. Most often times the NUCCA procedure can provide relief that may or may not have been achieved following surgery. In these particular cases it would be best to consult with a NUCCA doctor first to better understand what will be in the patient's best interest. How long will I need NUCCA Chiropractic Care? After the initial spinal correction is made, and the spine returns to a normal balanced position, the acute symptoms will begin to alleviate. The body will then enter into a recovery cycle where it begins to stabilize into a new balanced position. Once the body is stabilized and begins holding its alignment, it takes about one month to recover for every year the spine has been misaligned providing the correction is maintained. After this recovery period has been achieved nearly all patients have discovered the value of maintaining their spinal correction and choose to stay in alignment the rest of their life. Will Insurance or Medicare cover your services? Our staff is well trained to help you understand how to utilize your particular health care plan and/or your Medicare coverage so that you can get the reimbursement you may be entitled to. Some plans offer limited Chiropractic coverage, so it is always smart that you verify your particular policy. We will show you how that works on your first visit to our office. My insurance policy doesn't cover Chiropractic, what should I do? Health is your most important possession. Don't take it lightly. Don't allow large companies to make extremely important health decisions on the type of care you need. Ask us how we are able to make NUCCA Health Care affordable for you. Is it safe to treat women who are pregnant? Safety should always be of primary concern. The risk is very low compared to the benefit NUCCA Care can offer to a mother and the fetus. If the mother is comfortable and healthy during pregnancy, there will be a trickling effect on the health of a newborn baby. Why time IS required to obtain long term results? Most people we see at have complex conditions that didn't get like that over night. It's not going to be healed over night either. You may enjoy relief of symptoms, but that doesn't mean the problem is gone. The doctor will only recommend what he/she feels is appropriate in each individual case to recover as thoroughly and as quickly as possible. If I get adjusted more frequently will it speed my recovery? No. You only get adjusted when the doctor has all indications an adjustment is necessary. Many times adjusting too frequently can actually retard the recovery process, making the correction more unstable. Why don't I always get a correction when I feel bad, and why do I sometimes get a correction when I feel good? The NUCCA doctor will only adjust your spine when his objective test(s) detects body imbalance to be present. It is possible for patients to be feeling poorly while maintaining their body balance, or the reverse, feeling well, and needing a correction. The body is extremely complex, and in flux all the time. How we feel is not the best indicator of health. Society has been taught through medicine that when you feel bad, you take something for your symptoms. Or in Chiropractic, manipulation is performed in some offices, for the relief of painful symptoms. This is very confusing for the patient who may have experienced both prospective before entering our office. We will only correct your spine with positive objective signs. Pain or discomfort is never an adequate justification for spinal correction. How will I know when I loose my alignment? From the very first correction the NUCCA doctor will begin to teach you how to tell when you are maintaining your alignment, and when your not. Some people will have a hard time detecting imbalance and the doctor will look for other ways to be sure those patients benefit from care long term. Can my alignment correct on its own? It's unlikely that a spine will move back to a normal balanced position. There are factors such as old injuries, structural degeneration, physical or emotional stress, nutritional habits, or limited recovery time that will not allow the spine to normalize on its own. X-rays and Pregnancy? The risk to a fetus of exposure to diagnostic x-rays is low. It's necessary for your doctor to know of pregnancy to take necessary precautions to minimize risk of exposure. Many pregnant women find themselves more comfortable during pregnancy and the delivery is much easier with proper alignment. How often should I get monitored for body balance after the doctor has released me from scheduled visits? For the patient who can recognize when they have lost their correction the doctor will give them the freedom to schedule their own appointments as needed. For those patients who are not yet certain of body imbalance it is recommended they get their spines checked on a monthly basis. Some patients schedule periodic checkups, as they would with their dentist, to ensure that body balance is maintained. How long you maintain the benefits of the NUCCA spinal correction is always up to you. What if I am skeptical about Chiropractic? I want you to know you are not alone. Many people have fears and concerns about many types of procedures, not just in Chiropractic. Unfortunately, there are a few bad experiences or expectations that have not been met in every form of health care. 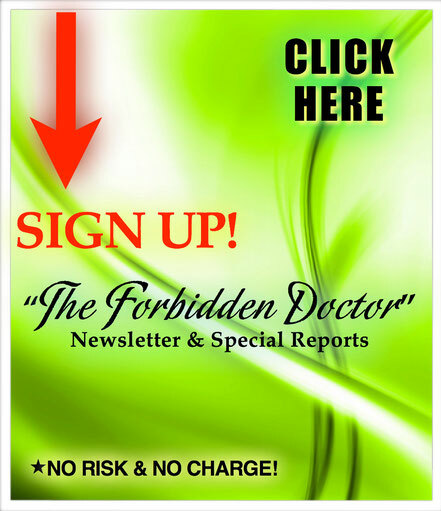 I recommend that you read the material contained in this website and make your own decision. We like to take care of people who want to be taken care of. It is not our business to convince anyone to get under care. I am an eighty three year female-diagnosis severe spinal arthritis mostly secondary to idiopathic scoliosis of the dorso-lumbar spine. Dr. Stockwell evaluated my problem. He had x-rays taken and gave me my first treatment with gentle pressure on my neck. Immediately after treatment I walked alone without my cane approximately 30 feet. During my first week at home I folded and put my walker away. My cane in a corner in case I would need it. I did experience less pain during the first week. My legs, ankles and feet had been extremely painful for at least five years. So what a blessing for me. My feet had slowly been turning inward.